Books – Ms. Nena B. Top Thought Leaders Share Their Tips For Living Their Best Life. “Determination and resiliency are foundational elements for anyone who wants to journey to greatness.” ~Ms. Nena B. “The ability to bounce back from a traumatic experience or life situation is centered on your faith in God. Prayer and Meditation are critical to your faith walk. Sometimes we need help to get started again. The “7 Days” book is that help.” ~Ms. Nena B. 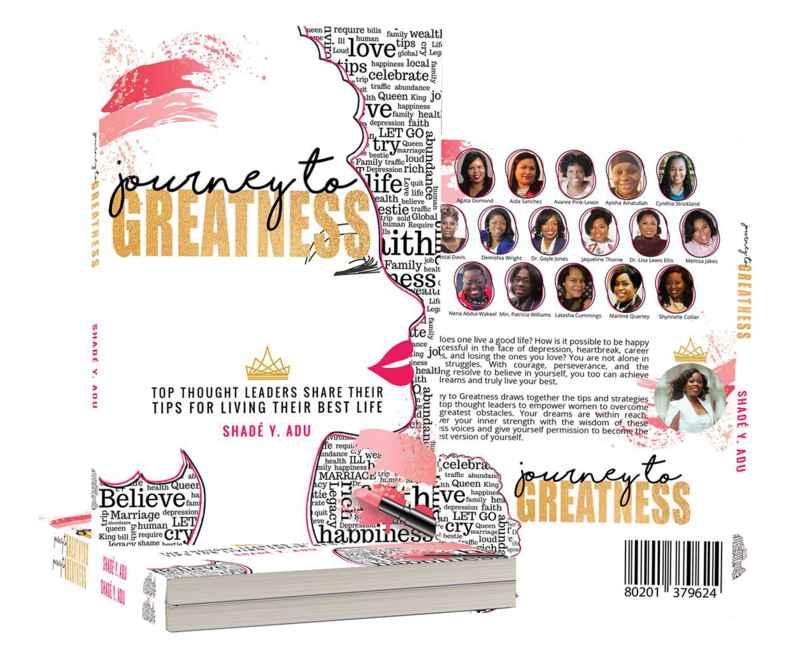 A Greatness Quest Experience: 7 Days of Prayer and Meditation is guided journey to discover or re-discover the greatness God has planted in you. 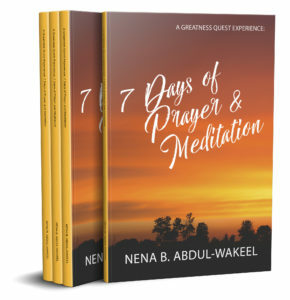 This book contains discoveries, prayers, affirmations, and meditations. Each day is a rich experience designed to empower you and encourage you on this journey called life. Join the quest. Begin discovering your greatness. 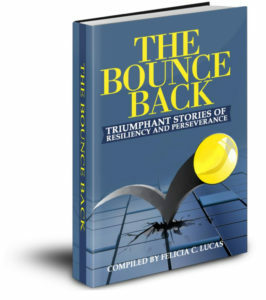 The Bounce Back: Triumphant Stories of Resiliency and Perseverance is an amazing anthology, an inspirational compilation about women who have experienced heart touching adversities in life. 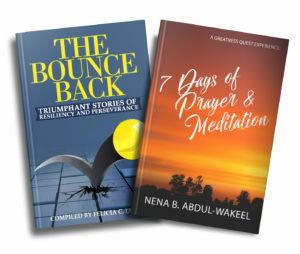 Through their resiliency and faith in God, their personal testimony is a testament to the reader that you can indeed bounce back. *Payments processed via Paypal through Walk Boldly, LLC. See Ms. Nena B. Show Terms and Conditions for details.